Nepal captain Paras Khadka hit the first ever hundred by a Nepalese batsman in One-Day Internationals to give his side their maiden ODI series win with a four-wicket victory over UAE. The 31-year-old racked up 115 from 109 at the ICC Academy in Dubai in a knock that included 15 fours and a six to give his side a 2-1 win in the three-match series. A comeback series win seemed unlikely for Nepal when the UAE posted a series highest score of 254/6, largely thanks to a late surge from Shaiman Anwar (87) and Mohammad Boota (59*). 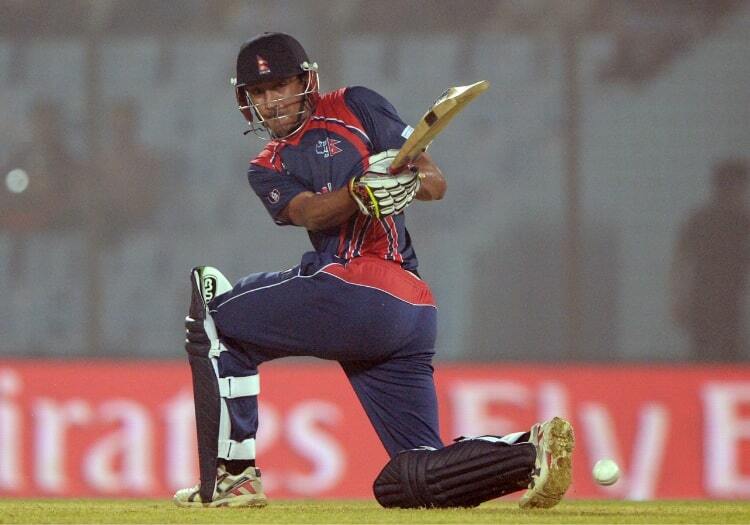 Nepal, who were bowled out for 113 in the first ODI, lost Binod Bhandari early but roused enough support around Khadka as he reached his century off 96 deliveries. Khadka, who was playing in just his sixth ODI match for his country and had taken two wickets in the UAE innings, however, fell LBW to Qadeer Ahmed with his side still requiring another 40 runs. Nevertheless, unbeaten scores of 26 and 21 from Sompal Kami and Aarif Sheikh saw them home with 5.2 overs to spare. UAE took the lead in the bilateral series on Friday with a three-wicket win, but Nepal bounced back emphatically the following day as they won by 145 runs.